Access From Anywhere: Whether you're at home or away, dim and brighten the lights from your smartphone or tablet with the free EufyHome app (Android 4.3 and above or iOS 8 and above devices required. 2.4GHz Wi-Fi network support only). 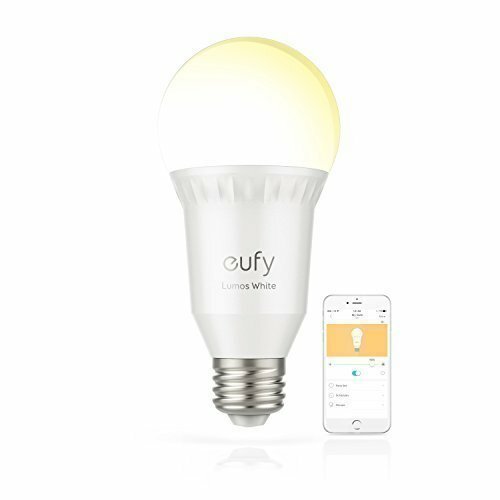 What You Get: eufy Lumos Smart Bulb - White (2.56 x 2.56 x 5.5in), User Manual, Safety Instruction Card, Happy Card and our worry-free 18-month warranty.